Farmingdale Fusion is a Bollywood dance team that emerged on campus about three years ago. Since then, the team has flourished and made big strides in doing shows, holding events, and engaging people to join the team. 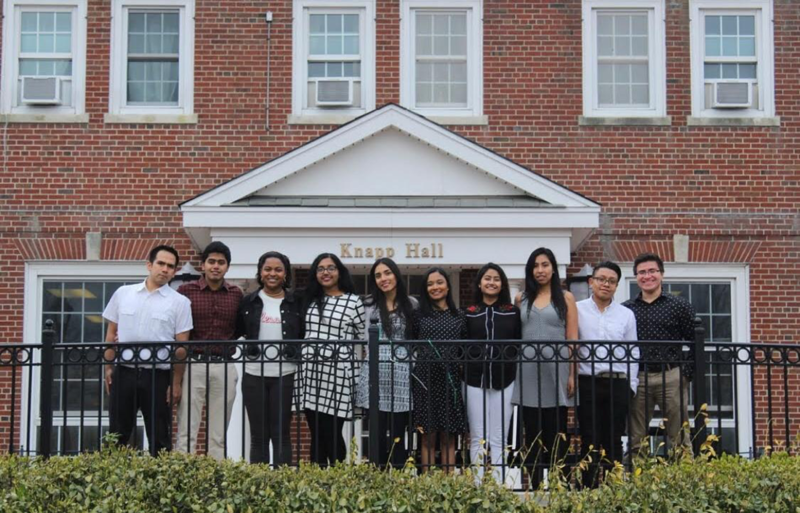 As you hear the name you would imagine that only people with a South Asian background would be able to join, but no, the team is open to anyone and everyone. I have been with the team since the beginning. 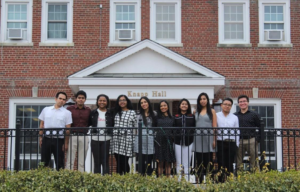 Sarah Khan, who is also a Rambassador, is the founder of Farmingdale Fusion. With her desire to dance, she formed a team to show the Farmingdale State College community. We started out with being only girls and there was just eight of us. We started to do shows around campus, as much as we could to help get our name out there. In the same semester we started, we were able to hold our first event, Mast Night. Since then we have kept it an annual event and collaborated with other clubs on campus. The original team when we started were all from South Asian backgrounds. The girls were from Bangladesh, Pakistan, and India. We all bonded over our interest in dancing and wanted to spend time together and make lasting relationships. We started to become more of a family than a dance team. We would hold dinners, have late night practices at a team members house, and just enjoy each other’s company. Along with the bonding, we started to get more shows and the more people who came to know about us. As we went through semesters, we started to gain more people to join. We currently have 19 team members. We’ve doubled our original number of members over the three years. And with that, many people of other backgrounds wanted to join because they saw how committed and passionate we are about doing something we love. We started to have guys join the team and more girls to join as well. With that, they were not of South Asian background. We now have members from Peru, Colombia, and Haiti. It’s beautiful to see how that even though we have different backgrounds, we all come together as one. One thing that really makes Farmingdale Fusion stand out is the amount of diversity that we have on our team. This is such a highlight not only for us as a team but for the Farmingdale State College community as a whole. It shows the amount of diversity and collaboration we have with each other. This key aspect puts us in high demand for performances on campus and outside of campus. We are known to be such a diverse team but with one dream, to dance and do what we love. I cannot wait to see how Farmingdale Fusion will expand through the coming years, to see the newer and greater heights that it will reach.